Jeg har hatt stillingen som førsteamanuensis i Geografisk Informasjonssystemer (GIS) siden April 2014, ved Institutt for økonomi og IT, Handelshøyskolen, Universitetet i Sørøst-Norge (USN). Jeg underviser og veileder studenter i Landmåling, Fjernanalyse, Database og Prosjektarbeid i GIS. Anmelder for 26 SCI /SCIE vitenskapelige tidsskrifter: (1) Natural Hazards; (2) Landslides; (3) Geomorphology; (4) Natural Hazards and Earth System Sciences; (5) Geomatics, Natural Hazards and Risk; (6) Arabian Journal of Geosciences; (7) Journal of Mountain Science; (8) Remote Sensing of Environment; (9) Journal of Applied Remote Sensing; (10) GIScience & Remote Sensing; (11) Geocarto International; (12) Environmental Monitoring and Assessment; (13) Stochastic Environmental Research and Risk Assessment; (14) Environmental Earth Sciences; (15) Sustainability; (16) Entropy; (17) Earth Science Informatics; (18) Separation Science and Technology; (19) Water Resources Management; (20) IEEE Transactions on Industrial Informatics; (21) Catena; (22) International Journal of Information Technology & Decision Making; (23) Science of The Total Environment; (24) ISPRS International Journal of Geo-Information; (25) Mathematical Geosciences; (26) Remote Sensing. Khosravi, K., Pham, B.T., Chapi, K., Shirzadi, A., Shahabi, H., Revhaug, I., Prakash, I. and Tien Bui, D., 2018. A comparative assessment of decision trees algorithms for flash flood susceptibility modeling at Haraz watershed, northern Iran. Science of The Total Environment, 627, 744-755. Khosravi, K., Panahi, M., and Tien Bui, D. 2018. A comprehensive study of new hybrid models for Adaptive Neuro-Fuzzy Inference System (ANFIS) with Invasive Weed Optimization (IWO), Differential Evolution (DE), Firefly (FA), Particle Swarm Optimization (PSO) and Bees (BA) algorithms for spatial prediction of groundwater spring potential mapping. Hydrology and Earth System Sciences Discussion. 2018:1-45. Vafaei, S., Soosani, J., Adeli, K., Fadaei, H., Naghavi, H., Pham, T.D. and Tien Bui, D., 2018. Improving Accuracy Estimation of Forest Aboveground Biomass Based on Incorporation of ALOS-2 PALSAR-2 and Sentinel-2A Imagery and Machine Learning: A Case Study of the Hyrcanian Forest Area (Iran). Remote Sensing, 10(2), 172. 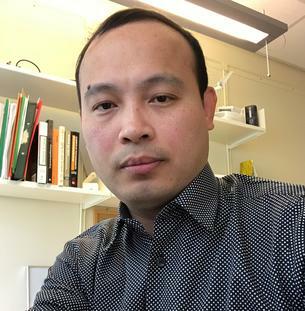 Quoc Anh, G., Tran, D-T., Nguyen, D-C., Nhu,VH., Tien Bui, D., (2017). Design and Implementation of Site-Specific Rainfall- Induced Landslide Early Warning and Monitoring System: A Case study at Nam Dan landslide (Vietnam). Geomatics, Natural Hazards and Risk. 8(2), 1978-1996. Hong, H., Liu,J., Zhu, A.X., Shahabi, H., Pham, T.B., Chen, W., Pradhan, B., Tien Bui, D. (2017). A novel hybrid integration model using support vector machines and random subspace for weather-triggered landslide susceptibility assessment in the Wuning area (China). Environmental Earth Sciences. 76:652. Hong, H., Pradhan, B., Tien Bui., D; Xu, C., Youssef, A.M., Chen, W., (2016). Comparison of Four Kernel Functions Used in Support Vector Machines for Landslide Susceptibility Mapping: A Case Study at Suichuan area (China). Geomatics, Natural Hazards and Risk. 8(2), 544-569. Pradhan, B., Kalantar, B., Abdulwahid, W.M., and Tien Bui. D.(2017). Debris Flow Susceptibility Assessment Using Airborne Laser Scanning Data. In Laser Scanning Applications in Landslide Assessment (279-296). Springer International Publishing. Tien Bui, D., Pradhan, B., Ho, T.C., Revhaug, I., Nguyen, D.B., 2013. Landslide Susceptibility Mapping along the National Road 32 of Vietnam Using GIS-based J48 Decision Tree Classifier and Its Ensembles. In M. Buchroithner et al. (eds.). Lecture Notes in Geoinformation and Cartography, Volume “Cartography from Pole to Pole”, Springer-Verlag Berlin Heidelberg. ISBN: 978-3-642-32617-2. Tien Bui, D., Ngoc Do, A., Bui, H.-B., Hoang, N.-D. (Eds. ), 2018. Advances and Applications in Geospatial Technology and Earth Resources. Proceedings of the International Conference on Geo-Spatial Technologies and Earth Resources 2017. Springer International Publishing. Tien Bui, D., Martinez-Alvarez, F. (Eds. ), 2019. Machine Learning for Natural Hazards. CRC Press, Taylor & Francis Group (Book contract singed, planned to publish in March, 2019).